The Edelrid Jay III is the ideal all-round harness, whether you're sport climbing, mountaineering or doing a spot of via ferrata. 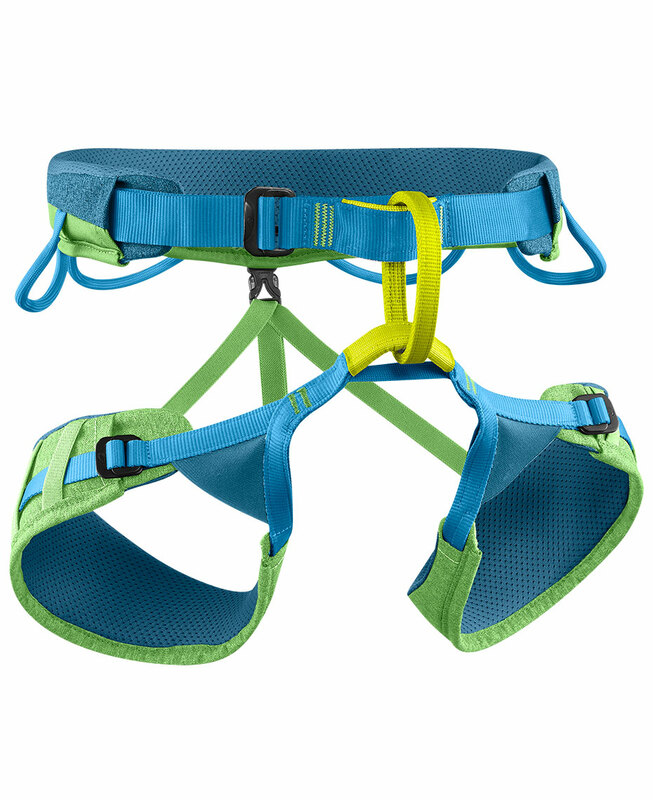 Great value and sporting some all-new features, it's an ideal first harness for budding climbers and mountaineers, or the climber who just wants to do a bit of everything. The design is heavily focused on adjustability and comfort, so you can easily adjust the wait and leg loops to accommodate different layering systems. The Jay III features a small pouch on the waistbelt where you can store an RFID chip, as well as a slimmed down design compared to its predecessor, the Jay II. Widely touted as the most versatile harness in the Edelrid range, the Jay III is a great choice for climbers who want one harness that does it all. Products bearing the bluesign® logo have committed to using sustainable ingredients and a clean manufacturing process to minimise any negative impacts upon people and the environment. Bluesign® aims to create a textile industry that manages natural resources soundly and responsibly, reduces water and air emissions, improves its wastewater treatment, and generally reduces its ecological footprint to create safer products for consumers that cause less harm to the environment.